Next to an aircraft carrier, the type of warship that I find interesting the most is the submarine. Being capable of sailing deep underwater, running silent while packing weapons that can inflict unimaginable devastation, and staying below the surface for months at a time, are just few of the qualities that make submarines so fearsome. The first one I've seen and have gone inside is the USS Growler, which aside from the Space Shuttle Enterprise, is one of the major exhibits of the Intrepid Sea, Air & Space Museum in Manhattan, and it was one of exhibits there that I really enjoyed. Until Intrepid I've never seen a military submarine before although I've seen a small one displayed at the Baluarte in Vigan, owned a local politician. 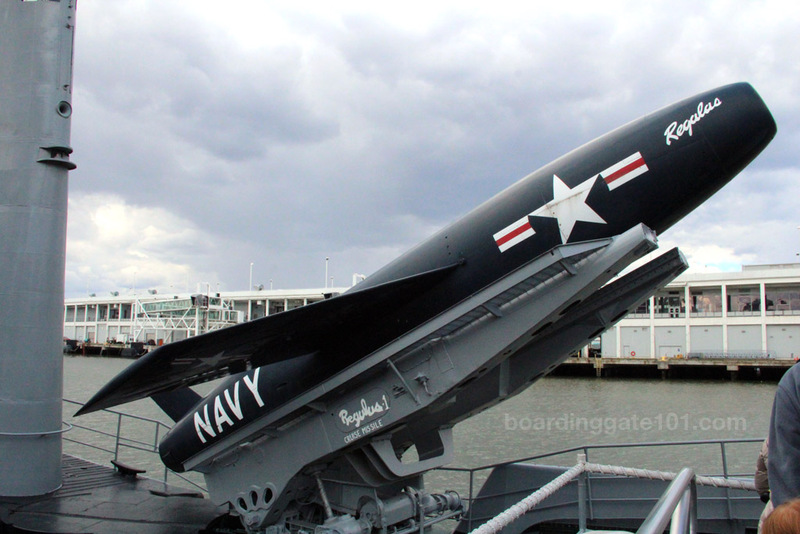 USS Growler, with designation SSG-577, is a Cold War-era cruise missile submarine. Built in 1954 and launched in 1958, it was one of the earliest cruise missile-armed submarines of the United States Navy. 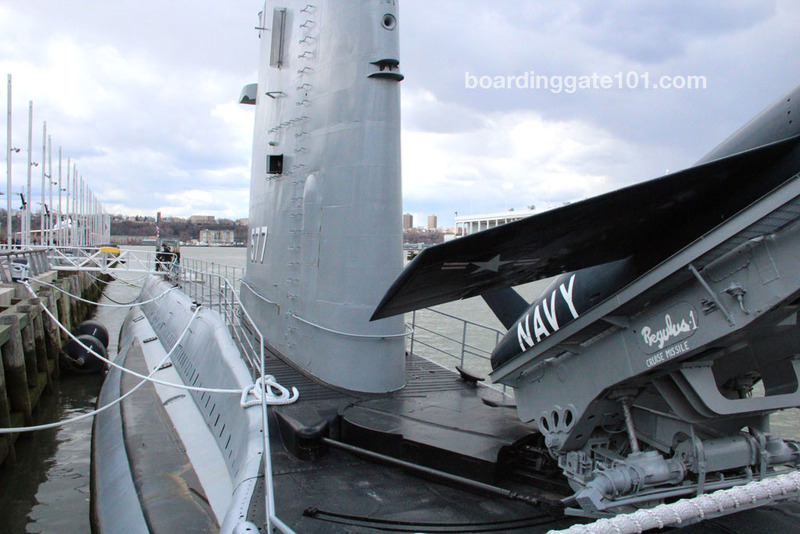 It is armed with four Regulus 1 nuclear-armed cruise missiles, and 6 torpedo tubes, four at the bow and two astern. The 318-foot long boat has a complement of 9 officers and 78 crew members. 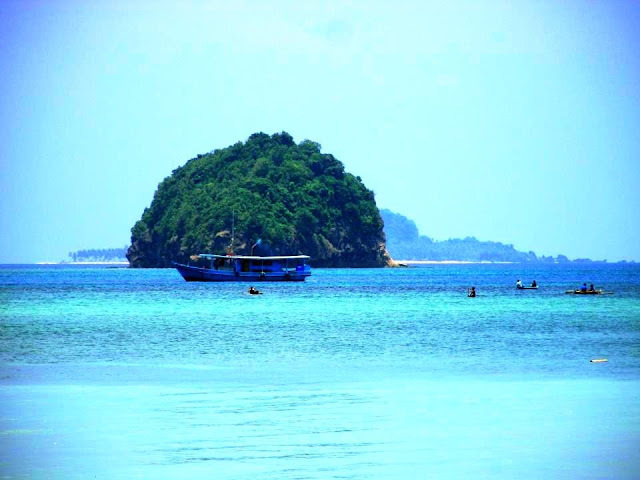 Its mission was to conduct deterrent patrols in the Pacific, until it was decommissioned in 1964. After going through a security check that resembled a mini-TSA, me (and the batch of visitors that I came with) started going inside the submarine through the missile hangar where the Regulus missiles were originally stored. There were no missiles there anymore, although there's one Regulus missile installed at the dorsal part of the submarine. 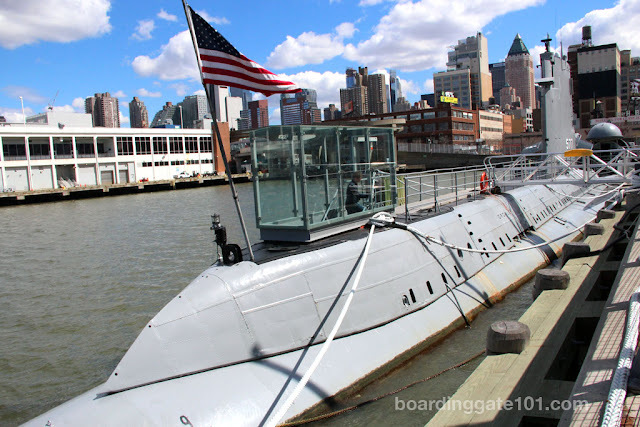 Descending down a small ladder to the main deck, I kept imagining how claustrophobic it would be for the sailors to be inside the submarine, staying below the surface for days at a time. I don't have claustrophobia but I felt a sense of being closed as I entered the main deck, passing the forward torpedo room. 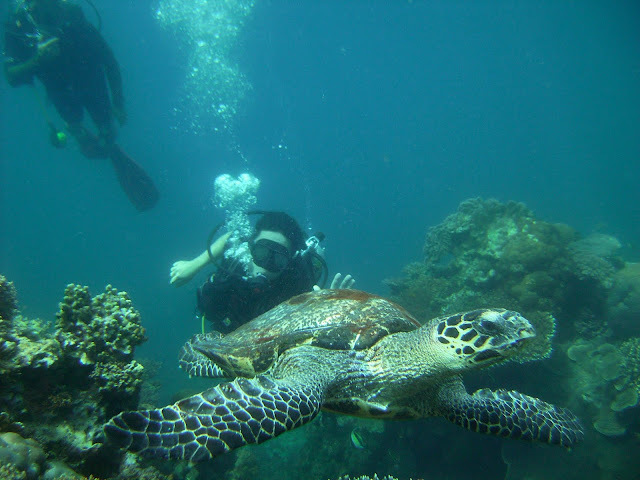 I didn't have that sensation since going through the main cargo hold of Olympia Maru in Coron. 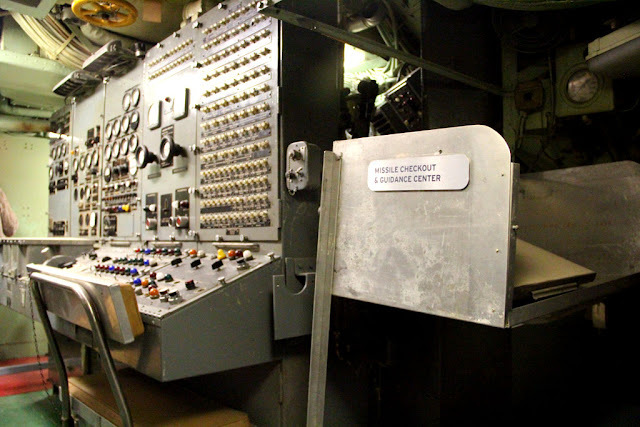 The first section that we entered was the navigation room, then the missile checkout and guidance room. The two sections were full of instruments, dials and mechanical switches, crammed in every nook and cranny, leaving just enough room for the crew to wriggle about. 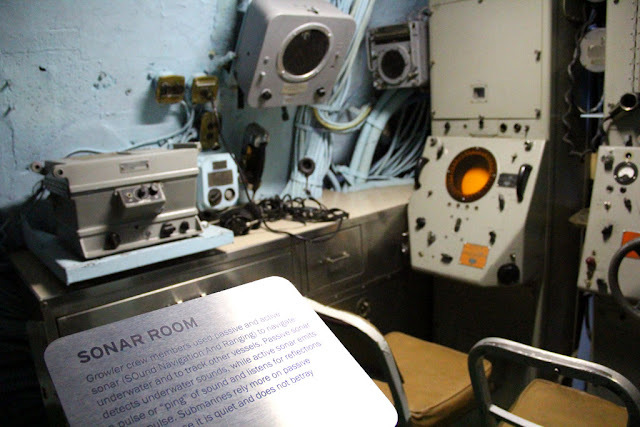 The sonar room is also in this section. We went from one section to another through a small hole on the "wall" that separates each from the other. 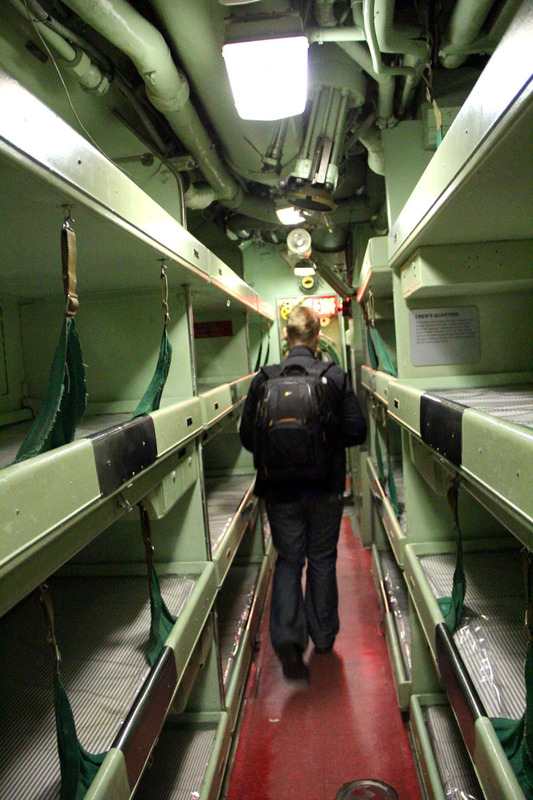 Beyond the guidance room was the officers' quarters, each almost the size of a lavatory found in modern airplanes. 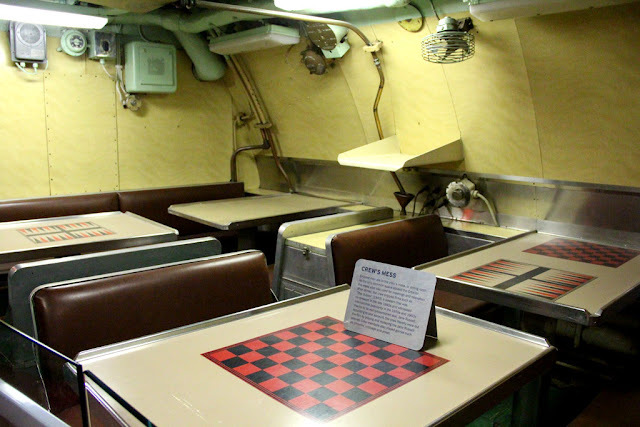 The quarters were provisioned with a bed, a sink, and a steel commode, separated from the galley with a sliding door that affords the officers some privacy. At the middle of the submarine is the control room, where the captain of the boat gives command to the crew. 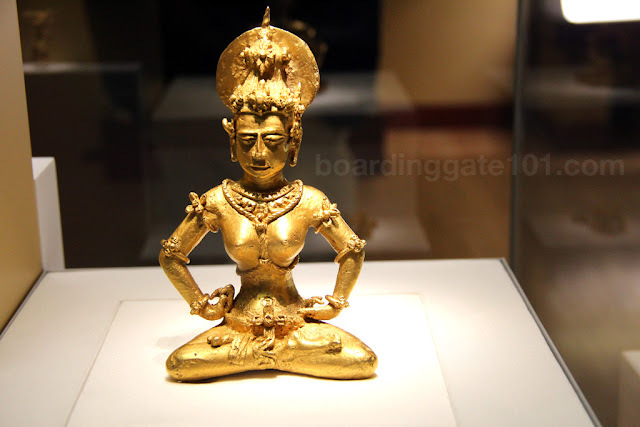 Jutting down from the ceiling is the periscope, which extends all the way to the sail. 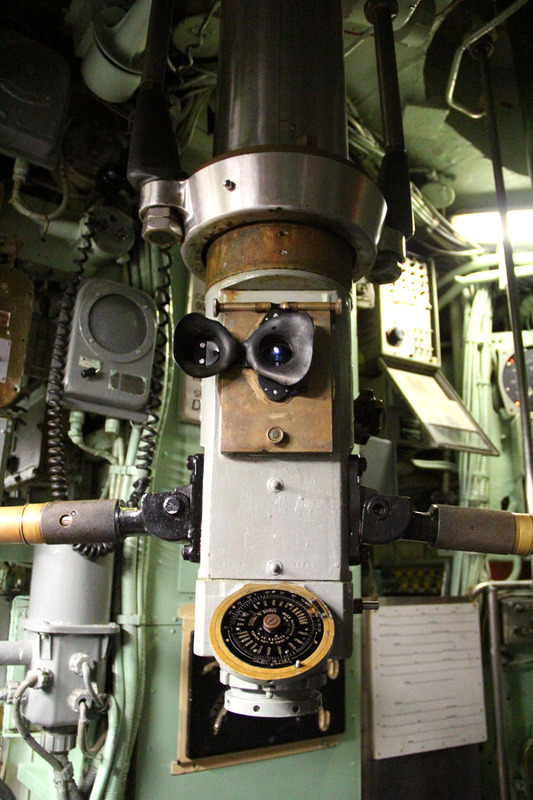 The captain or crew can peer through it and see what's at the surface if the submarine is at periscope depth. I was told by the guide that the periscope is still working, but they don't allow people to touch it because it might get damaged. Just after the control room is the crew's mess area, and the crews' quarters. This is where the sailors spends most of their time when not on duty, either sleeping or getting a chow with their fellow sailors. The tables and chairs in the mess area were spartan and utilitarian. Painted on the table's surface are boards for games such as chess and backgammon. Tucked between the two sections is the kitchen and food preparation area, complete with several kitchen implements. The crew's quarters were nothing more than bunk beds installed at each side of the aisle, with nothing but a curtain to given the sleeping sailor some privacy. It must have been difficult to sleep there, as the next section is the engine room. Towards the end of the submarine is the aft torpedo room. As space needs to be maximized in the submarine, this section also holds not just the the torpedoes but also bunks for the crew. 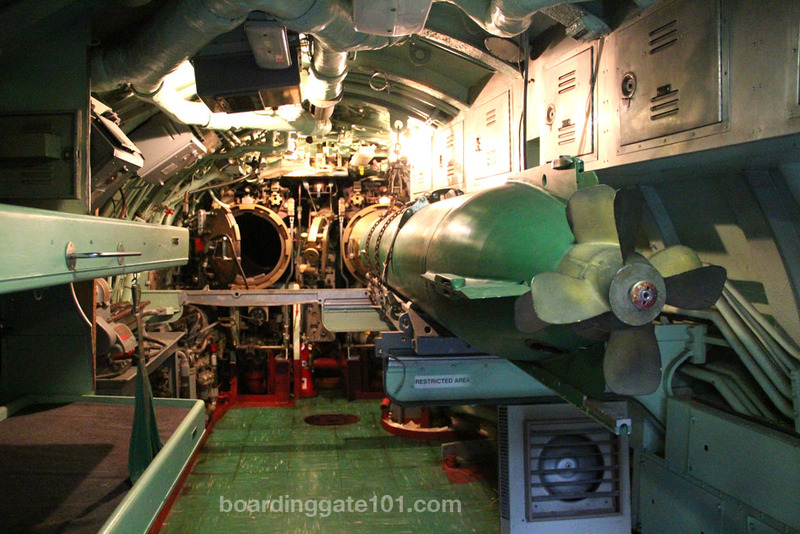 The torpedo tubes and hatches can be seen here. 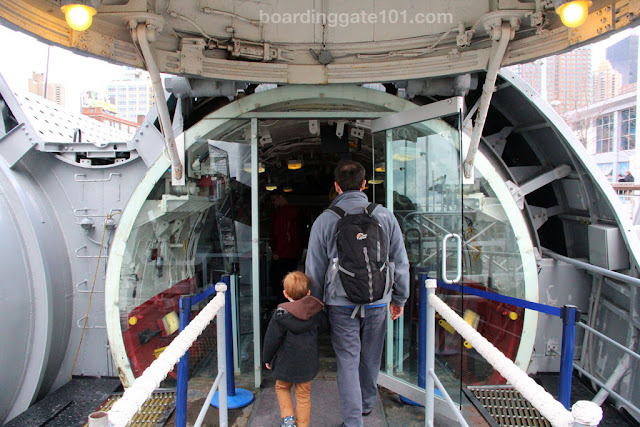 The tour of the ship terminates as you ascend through another ladder, exiting on the aft section, to the pier. The Intrepid Sea, Air and Space Museum is located at Pier 86 on Manhattan's west side, on 12th Avenue and 46th Street. You can take the subway to 42nd Street and walk or take a M42 bus to 12th Avenue. Dorsal section of the submarine.